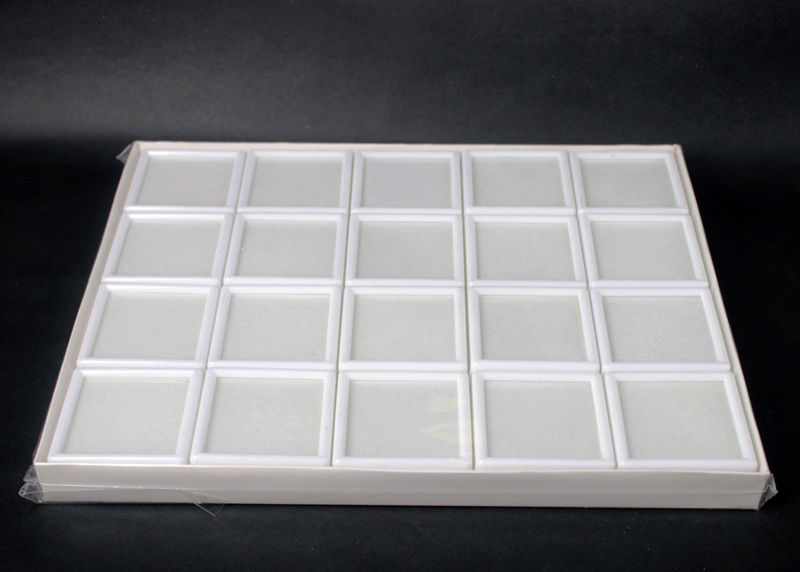 Wholesale Loose Diamond Gemstone Display Box Gemstone Case Acrylic glass packing boxes from china suppliers. Do you want to display the Loose Gemstones on your shop or counters on the Jewelry show? The Display box or case will be the best choice to display the gemstones beautifully. 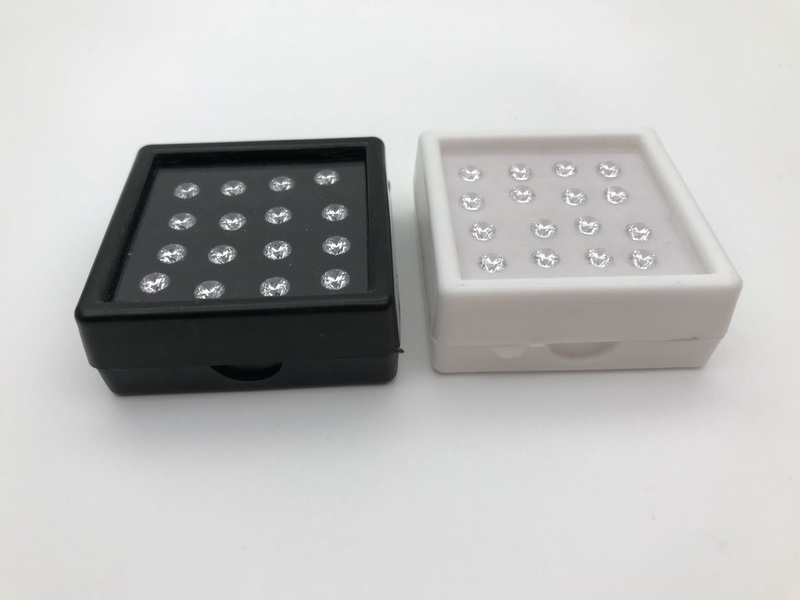 The following one is 4x4cm size display box, which packs 16 pcs of White Cubic Zirconia Round diamond cut Gemstones in a box. There're several sizes can be made. This box uses good material to make, top is glass, not cheap acrylic or plastic. Please contact us for the enquiry if you wanna to buy this Loose Diamond Gemstone Display Box. 0 Respones to "Loose Diamond Gemstone Display Box case wholesale from china suppliers"